In this current case, the court held that even if a design firm potentially deviated from industry standards of care, the economic loss doctrine barred a suit against a design firm where there it had no privity of contract with the plaintiff. Suit in the case had been filed by a project owner against professional consultants that were subconsultants to an engineer who was a subcontractor to the general contractor (GC) on a thermal energy system project. Summary judgment was granted for the subconsultants and affirmed on appeal. Sanctity of Contract. 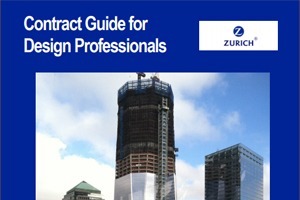 The courts found in favor of sanctity of the contract – holding that all entities on the project had the ability to negotiate contracts and the court would honor those contracts as written. The main engineering firm had a limitation of liability (LoL) clause in its subcontract with the GC limiting its liability to the amount of its fee. In this case, however, the suit was not filed by the GC against its engineer but was instead filed by a project owner against the engineer’s subconsultants with whom they had no contract. The LoL clause of the GC/engineer contract therefore did not come into play. Perhaps this suit was an effort by the project owner to go around the prime contracts and avoid the LoL provisions. In any event, it didn’t work. No Duty Outside of Contract. In affirming the application of the economic loss doctrine to bar such a suit, the court also stated that sub-engineers had no liability whatsoever because they owed no duty to anyone independent of their subcontracts. Even if the court was to find that the sub-engineers deviated from the applicable standard of care, it held that this would not constitute an exception to the economic loss doctrine. The economic loss doctrine was also applied in a case to bar a design-build contractor’s claim against its subcontractor/engineer for providing defective designs used by the contractor to construct a water tank for a U.S. Navy water supply system. Maeda Pacific Corp. v GMP Hawaii, Inc. (2011). The economic loss doctrine is applicable in many, but not all states. It is important to know the law of the state that will be applicable to the services performed. There are also clever ways that some plaintiffs argue their way around the doctrine. For example, contractors in Arizona have convinced the courts in that state to permit them to sue designers under a theory of breach of an implied warranty of specifications that the designer provided to a project owner and on which the contractor claims to have relied to its detriment. The courts there hold that a designer provides an implied warranty, even to a party with whom it has not contract, “that they have exercised their skills with care and diligence and in a reasonable, non-negligent manner.” See for example, North Peak Construction, LLC v. Architecture Plus, Ltd., 254 P.3d 404 (AZ, 2011). In most states, however, the design professional is not deemed to grant implied warranties. Although a contractor may make a claim against the project owner for breach of the owner’s implied warranty of the specifications, the contractor has no direct cause of action against the designer for its economic losses. Any suit against the designer for purely economic losses must be based on breach of contract and brought by its client. Unless there is an independent duty owed by the design firm to a third party, and the design firms’ failure to meet its standard of care in performing that duty caused bodily injury or property damage, there is no viable cause of action. Where a project owner pays the contractor a change order for its extra costs, the owner can only recover from the design firm for those costs if it can prove the designer performed its services negligently. For the reasons explained in this Report, an entity can generally only recover its purely economic losses from the party with whom it contracts. Courts generally enforce contracts as negotiated by parties and do not allow parties to the contract to avoid the contractual terms and conditions by the subterfuge of making a tort (i.e., negligence) claim against the other party. There is no independent tort duty when it comes to purely economic losses regardless of whether the allegedly injured entity or individual has a contract with the alleged wrong doer.